CASA 0101's podcast hosted by Estuardo Muñoz, featuring actors, playwrights, artists and more. Find out what's happening at Casa 0101 and in L.A.'s eastside arts scene. The Casa 0101 Podcast returns with a new episode all about Morrissey fandom. Producer/Writer Jaime Mayorquin and Actress Chloe Diaz tell us about their involvement in Casa's latest production Teatro Moz. Jaime and Chloe talk to us about this great evening of short plays and live musical performances. The show features such great talent (the Moz Squad), that you wouldn't even need to be familiar with Morrissey or The Smiths to enjoy the show. 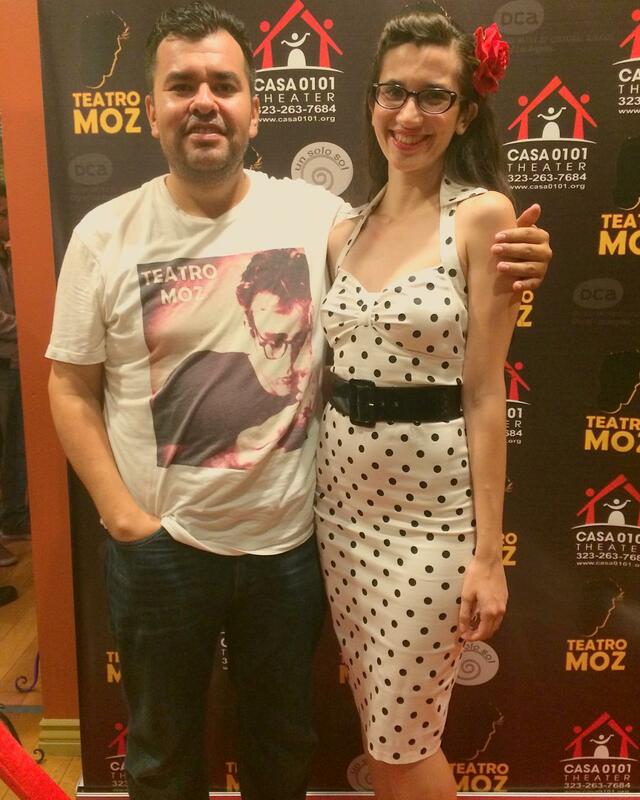 We also learn a bit about how they came to know Casa and their personal experiences as Moz fans. Visit Casa0101.org for for tickets, show info, classes, and more. Are you ready for double the podcast fun? The first podcast features Corky Dominguez, a true Casa OG, and one of founder Josefina Lopez's oldest friends. We discuss his involvement as director for Bad for the Community, a show about gentrification in Boyle Heights. We discuss the impact gentrification has on the community and what it's like to have to leave your neighborhood due to such circumstances. Then we talk to Steve E. Feinberg who is directing Eastside Heartbeats, a story based on the 1960s Eastside music scene. He tells us about his origins as a storyteller in Boston, his love for Chicano culture, and the impact the 60s had on society in general. Visit Casa0101.org for for tickets, show info, classes and more. Casa 0101 Theater veteranas Claudia Duran and Lauren Ballesteros join host Estuardo Muñoz to discuss the latest production of Chicanas, Cholas, y Chisme. They tell us about their backgrounds with Casa, the origins of the show, and the impact it has had on the writers, performers, and audience. CASA 0101 Theater Executive Director and Co-Founder, Emmanuel Deleage, guest stars in the 2nd episode of the CASA 0101 podcast with host Estuardo Muñoz. The duo talk about the behind-the-scenes work it takes to run an organization and the future of theater. CASA 0101 Theater Founder and Artistic Director, Josefina López, kicks off the first CASA 0101 podcast with host Estuardo Muñoz. The duo talk about CASA 0101's origins, as a converted bridal shop financed on student loans, and how a chance encounter led to a fresh start, family and Casa as we know it today.